I was contacted by email and asked if I would be willing to read and review an anthology. I happen to like anthologies so I had no problem saying yes. This book is definitely different from most books. The book is full of poetry and short stories that lean to the dark side of literature. I enjoyed each story, some more than others. One of my favorites was "A Place in Pine Island". This was the story of a man's run in with an alligator. "Mr. Scratch's Murder Circus was a poem that reminded me of the freak side-shows at carnivals. A lot of them dealt with the topic of death. Call me a morbid person if you want but I enjoy reading things like this. 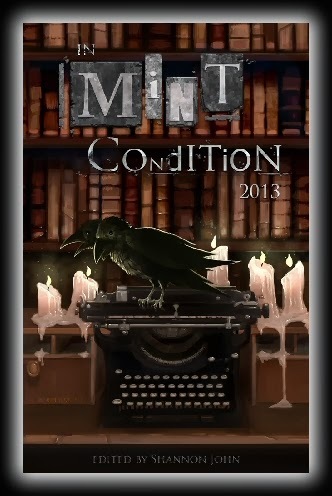 Each author was chosen from several people who had submitted their stories or poems. After choosing the stories to be placed in the book, artists were found to illustrate each entry. The book is full of both talented writers and artists. You can find out more here. The stories are so good that I read the entire book in a couple of hours. I just couldn't put it down. I will tell you the stories are for the more mature reader and there is some graphic language. I would definitely read another anthology written any of these sixteen authors.